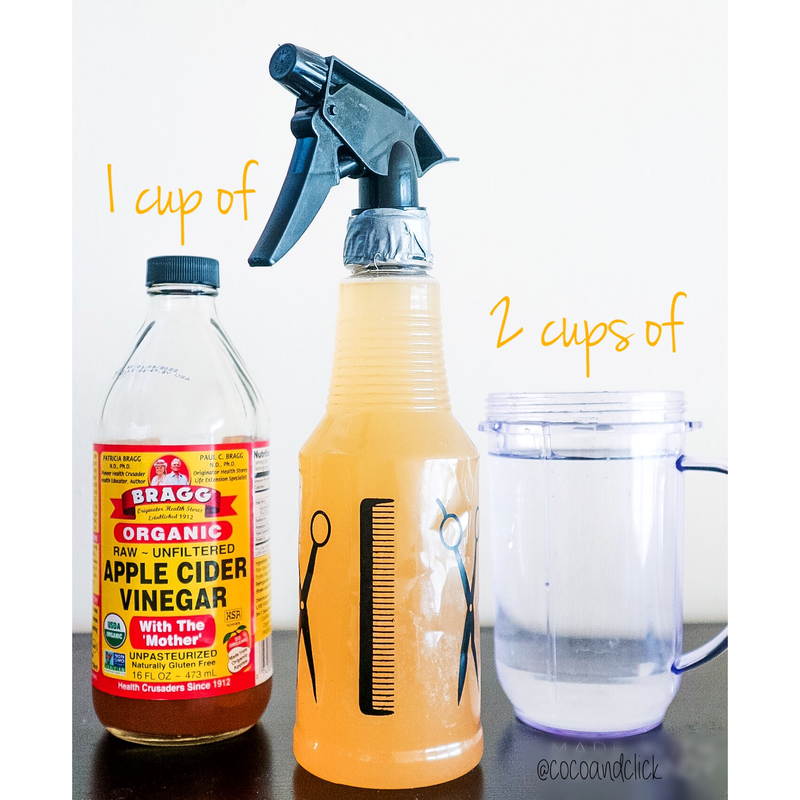 Apple Cider Vinger Rinse on Curly Hair! Posted on March 15, 2017 May 10, 2017 by STACi P.
Hey Guys! A few days ago I picked up Braggs Organic Apple Cider Vinger from the grocery store to prep my boyfriends locs for retwisting. Truth is, I’ve been Natural going on 3 years and I’ve never tried an ACV rinse but have heard amazing things! I’m in this weird stage in my journey where everything seems new again and fresh! It’s kind of exciting! So, why not partake in a new adventure? After a little research, I decided to do a 2:1 mix; 2 cups of water mixed with 1 cup of apple cider vinger. I shook it up as best as I could in a spray bottle and sprayed in the roots of my hair mostly. I wanted to massage in my scalp as much as possible to break up any buildup and relieve my scalp of any itching and dandruff. The relief came rather quickly. I don’t know if it was all in my mind but I’ll take it. Haha! But to my surprise, both my boyfriend and I had amazing shine after doing this rinse! Our textures are completely different but seemed to have similar results! This is a must try and will definitely be going in the wash day regimen. I’m probably going to try to get in a rinse once a week, as I tend to have a lot of buildup from the creamy textured products I use on my twistouts and braidouts. But, this will definitely work! 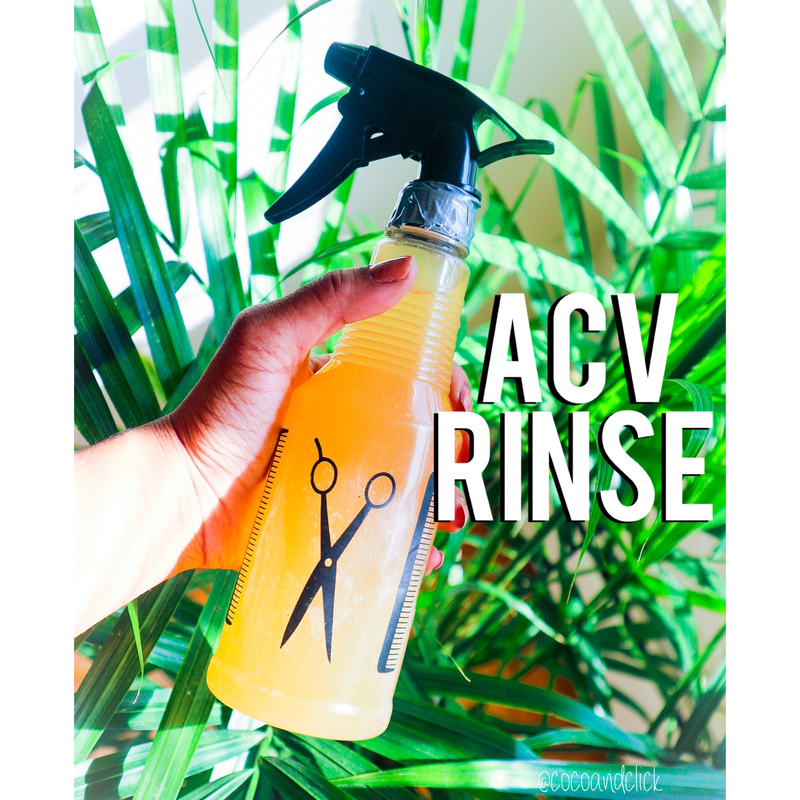 Have you tried an ACV rinse on your hair? What were your results? I’m curious to see the results on different textures and the mixtures you use. Please share! Back to the Thrift Store!